Display your favorite moments withthis all natural photo frame. OUT OF STOCK: Sorry, we are currently sold out of the 'Beach Picture Frame With Island Flowers*'. If you have further questions, please call our customer loyalty team at 1-800-793-3924. Capture that romantic sunset moment forever in our eco friendly picture frame. 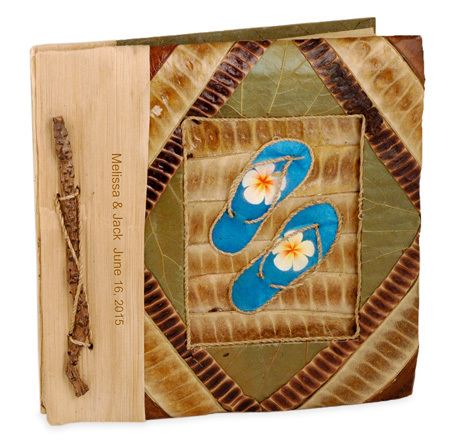 Crafted from Thai mulberry paper, this unique frame can be displayed in either portrait or landscape fashion. 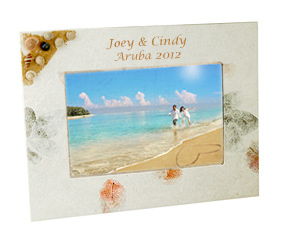 This beautiful all-natural frame comes adorned with a delicate island flower to give it that authentic beach feeling. Place a treasured photo from your honeymoon or destination wedding and have it personalized to commemorate the special day forever. Give the beach photo frame to the newlyweds so that they can forever treasure the memories they make on their island adventure. Add one of ourWedding by the Sea Beach Diaries and a few of ourPersonalized Coconut Wine Glasses and they will be get swept away just looking at them. Place one of these frames on each of the reception tables at your beach wedding for guests to take home. 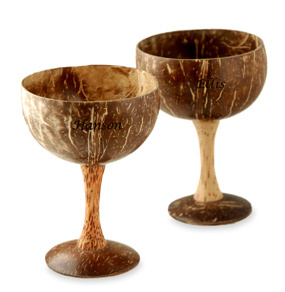 Look through ourBeach Wedding Favors to find these and many other great accent pieces to compliment your d飯r. Long summer days, warm summer nights, and summer romance all go hand in hand. Now those special moments can be frozen in time in a way that truly honors them with our Beach Picture Frame with Island Flowers. Put a picture of the last family vacation in the frame, or give one to each of your BFFs, already filled with pictures of you on your girls weekend.